The north east coastline of Sardinia offers a wealth of dazzling beaches with a mix of hidden coves and popular haunts. It also offers a feast of water sports with the Isola dei Gabbiani particularly popular. Enjoy stunning views of the straits of Bonifacio over the transparent turquoise sea as you head to the dramatic headland of Capo Testa to the west of Santa Teresa. The nearby bay of Santa Reparata has some delightful stretches of beach. To the east there are many small beaches around Porto Rafael and Palau. This area is home to an array of attractive sandy beaches, some with a deep green backdrop of pine trees. To the north of Cannigione and Laconia you will find lots of sandy coves. Just before the Hotel Cala di Volpe is the beautiful Liscia Ruia, an extensive sweep of white sand set down a long unsurfaced road. 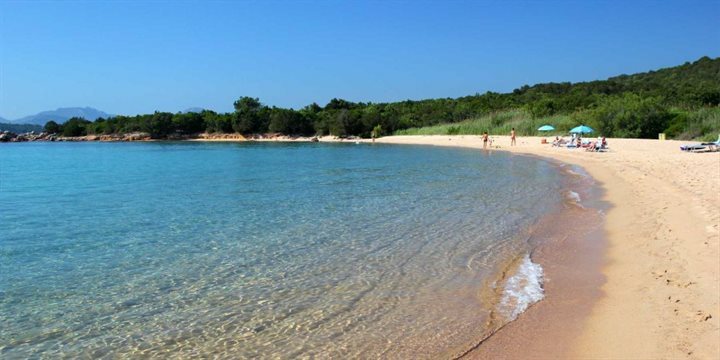 Another two we recommend are south of Olbia, Punta Molara and Cala Girgolu. The Isola dei Gabbiani is particularly famous for its windsurfing conditions and attracts many enthusiasts each year. Another great place for water sports is Cannigione. Here you will find a water sports centre where you can arrange windsurfing, sailing, water-skiing and fishing. There are a couple of other sailing schools in this area too. At the main mooring you are able to pick up small engine powered dinghies for day trips to the Maddalena Islands. Please note these are only suitable for experienced seafarers. Cala di Volpe beach on the way to Capriccioli rents out dinghies, pedalos and windsurfs as well as offering some reputable dive centres. Horse riding is very popular in this area. Schools can organise excursions in the countryside and rides along the beach. The best time of day to go is early in the morning and at sunset, most schools will be closed during the hottest part of the day.